A new weekly Mets Podcast featuring passionate commentary and debate from die-hard Mets fans. Each week will include live callers, minor league segments, special guests, and opinions that beg to be heard. Give us a listen and get ready to be Metsmerized! 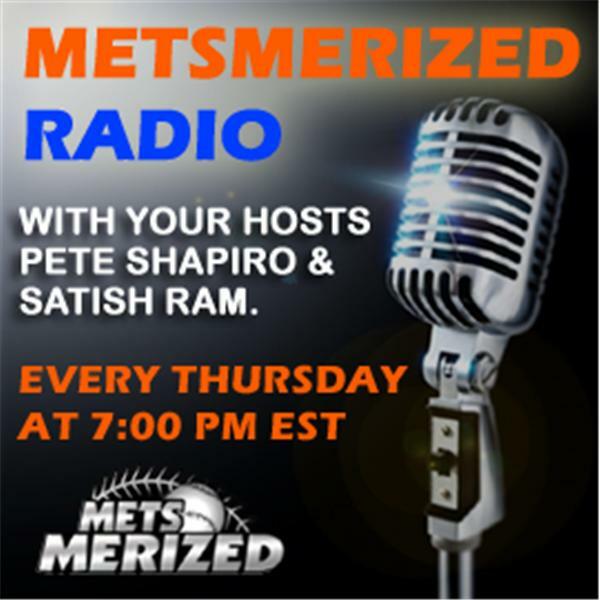 Join Satish Ram and Pete Shapiro as they go after the hottest topics in the world of the New York Mets. You can hope for some news on RA Dickey and David Wright. You can also look forward to quality discussion on the world series and former Met Angel Pagan. Is the attitude in Flushing breeding a losing culture? You do NOT want to miss this show!